Every time I think of the State Fair, the lyrics sung by Templeton the Rat, from Charlotte’s Web, ring in my mind. “A fair is a veritable smorgasbord orgasbord orgasbord…melon rinds and bits of hotdogs, cookie crumbs and rotten cotton candy…” (click on the link and watch the song, don’t worry, I’ll wait!) The fair is the summit of the summer for kids- the best weekend of the best time of the year. There is much to do, whether that is to try new foods, ride the whirling rides, milk a cow, or spend time with family, the Nebraska State Fair is the place to be on Labor Day weekend for kids of all ages. Unfortunately, for many kids in Nebraska, their buffet has been more like Templeton’s feast– not suited for children at all. 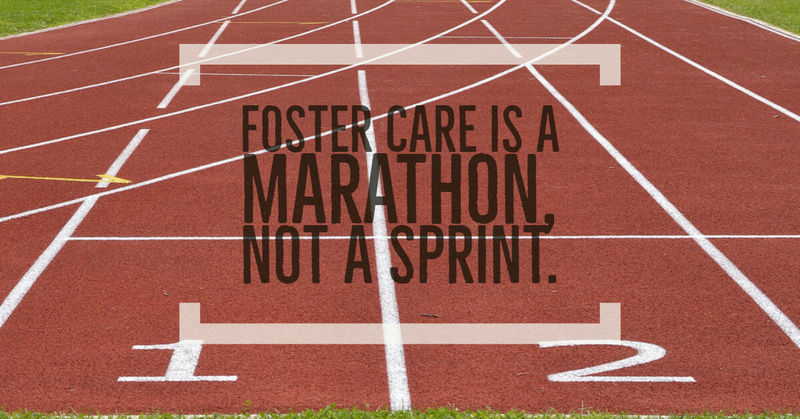 As of August 1, 2016, there are 4,489 Nebraskan children in foster care. That number has increased in the past few years, and many counties, especially in Central and Western Nebraska, are finding it difficult to provide adequate services for children due to a lack of providers. Because of that, the Department of Health and Human Services has asked Compass to expand into more counties. Earlier this summer we opened a family visitation center in North Platte, Nebraska. We are on the brink of completing simultaneous foster parent trainings in Kearney and McCook (something we have never done before!) We are excited for the opportunities we have to serve more children and families throughout Nebraska. This year, Compass has received the privilege of participating in a program called State Fair Cares. The State Fair Cares selects two Nebraskan non-profits each year to advocate for their cause and collect donations. As the first place winner, Compass will be hosting a booth over Labor Day weekend. The Cares program will match all donations we receive at the Fair up to $10,000! This opportunity comes at an amazing time. There is no better place for Compass to advocate for children than at the State Fair. It’s also the best place for us to reach people who care about children from all across the State of Nebraska. As our transportation expenses have grown exponentially since the beginning of our expansion, we realize how fortunate we are to have the opportunity to connect with thousands of fellow Nebraskans from across the State in one location. While we are at the State Fair, we are encouraging people to donate $2 for each child in foster care. It’s easy for most people to donate $2. Others may want to donate for each child in their own county. Each donation of $2 at the State Fair turns into a donation of $4 when it is matched by the State Fair Cares Program. Where can you invest your money and get such a great return? We hope you come to the State Fair and check out our booth. We have an exciting booth planned with photo ops and drawings for a Husker football signed by all 3 Nebraska Heisman, a Samsung tablet, and a family activities basket. When you are a CHAMPION for Nebraska children in foster care by donating, we are also giving you the opportunity to “leave your mark” on the State by putting a thumb print on our GIANT Nebraska map in the county you represent. We hope to see thumb prints from all over the State! We hope to see you at the Nebraska State Fair in Grand Island on September 3-5, 2016!